The day of the 4th Croydon Ultra event is rapidly getting nearer. To ensure everyone has a good day here are a few pointers on getting to the start. Start time 09:00 – this is for the main start please arrive at least 30 mins earlier to pick up your number, deposit your bags etc. There will be an earlier start at 08:00. Tram : There is a tram stop at Lloyd Park. From here it is about a 5 -8 minute walk across the park to Sandilands. THREE WEEKS TO GO !!! 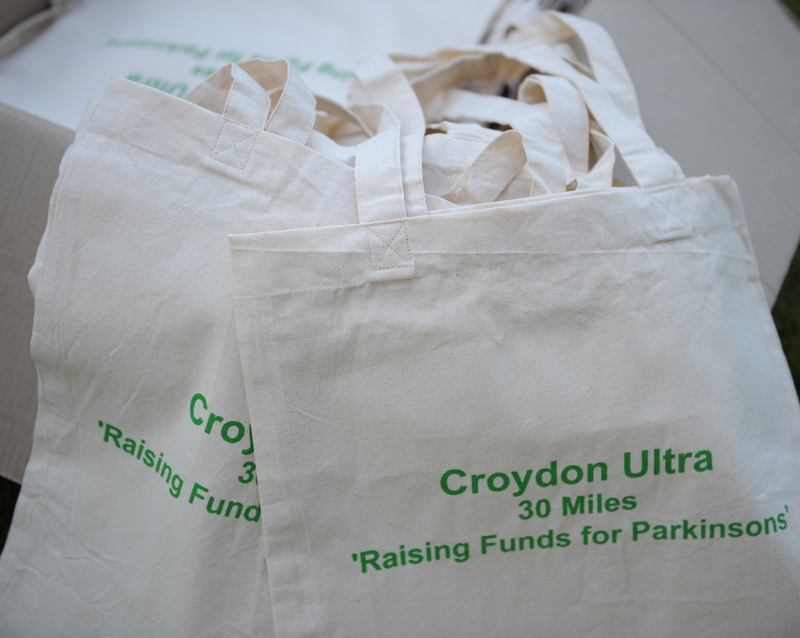 With three weeks to go to the 4th Croydon Ultra preparations are underway to make sure you all have a great event. Look what came in the post today !!! We are looking forward to seeing you on the day. If you haven’t entered you can do so online via Runners World or by post using an entry form from the event website at www.thecroydonultra.co.uk or by simply turning up and enter on the day. 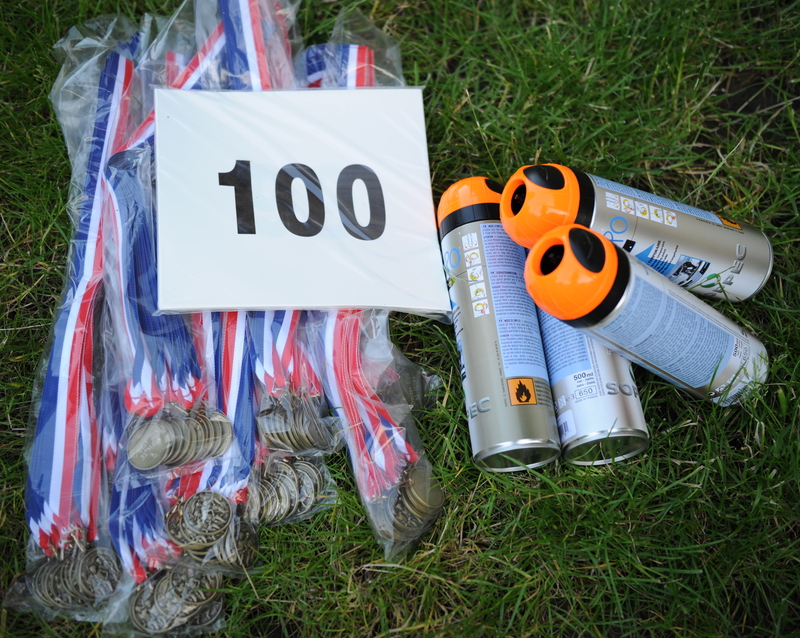 Medals, numbers and marking paint. ANOTHER DAY ON THE VANGUARD WAY! I was out on the Vanguard Way section of the Croydon Ultra. It was looking really great, the trails are fine, the sun was out and there was plenty of shade in the woods. You are all really going to love it out there !!!! I was out on the Vanguard Way Section today. It was looking particularly lovely with the sun casting it rays through the woods. The trees, bushes and unfortunately some stinging nettles are out in full force. The footing was damp from the recent rain and a little muddy in sections but absolutely nothing of concern. A good road shoe would give ample grip. I will be testing out other sections of the route over the next couple of weeks so watch out for updates. I will be out on the Croydon Ultra route over the next week doubling checking route descriptions and making sure there are no issues. Its also not too late to enter. Just go to http://www.runnersworld.co.uk to enter online or use the postal application form on this website.